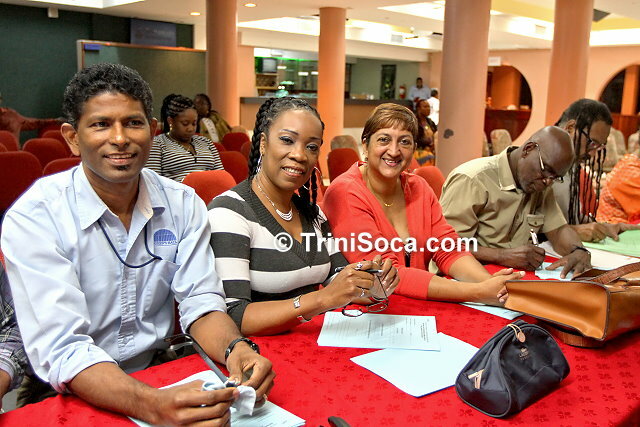 Another of the tent’s regular supporters in attendance was Mrs. Ann Noel of Cocorite. She acknowledged that she has been attending the tent’s shows since its inception. She felt that it has improved a lot since she first started coming but proclaimed that her love for Cro Cro as an artiste was reason enough to guarantee her attendance every year. The show started shortly after 8.00 pm and the Master of Ceremonies, Mr. Ronald Prince opened the show with the National Anthem. 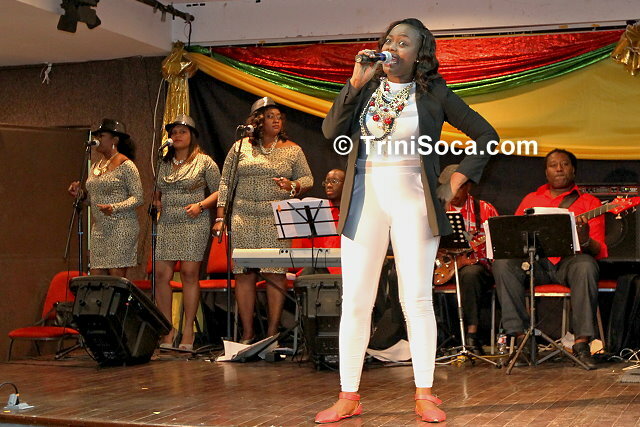 The artistes swung into action thereafter and the audience members were treated to an evening of musical activism on different national themes. The first performer was Eugene ‘Squero’ Caresquero performing “Clean up the Place.” His composition referenced the recent outbreak of Chikungunya in the country, calling on the nation to clean up so as to prevent the mosquitoes responsible for spreading the disease from breeding. He danced and engaged the audience with easeful familiarity and was well received at the end of his set. James W. ‘Durango’ Samuel, was next with his piece titled “Derek Walcott, Nobel Laureatte.” Wearing a sharp white suit, he sang in praise of the bard’s genius, offering an ode to a fellow wordsmith. 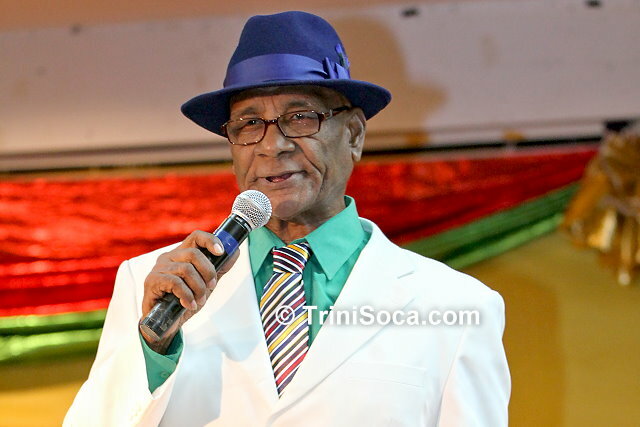 K. ‘Travel Man’ Marcano appeared on stage dressed in purple, with the song, “I Am The Pan.” His performance was lively and smooth, he too was also received with enthusiastic applause. Fritz ‘Fritzy’ Taylor was up next, competing in the Political Category. His song “The Cleaner” was cleverly written and supported by his outfit. Dressed as a cleaner, complete with a broom, he sang of the present (Government) administration’s dirty secrets being swept under the carpet. The audience laughed as the analogy was simple enough to recognize as a cleaner being trained by the Attorney General whose advice to him for every named mess he encountered was to sweep it under the carpet. Nyol Manswell was performer number five. He appeared in a black suit, and delivered his song “The Seeing Blindman.” It carried a catchy hook which wittily punned “blind man cyar see, but you never catch me,” and the patrons stung their palms in appreciation at the end of his melodic performance. 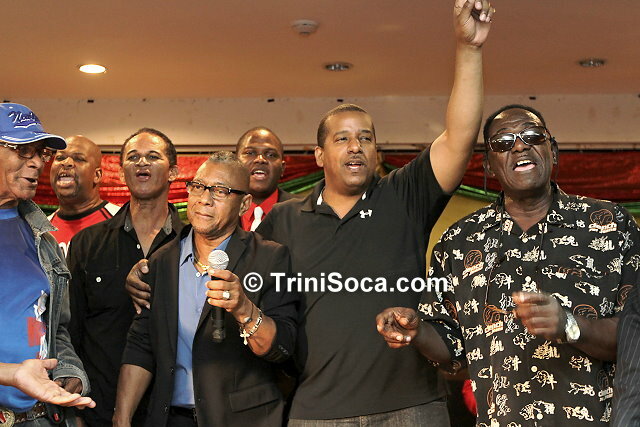 Franklyn “The Dictator” Charles followed with his song “Black Consciousness,” which expressed a need for black support and black consciousness in all spheres. His was a strong message that many listeners seemed to relate with. 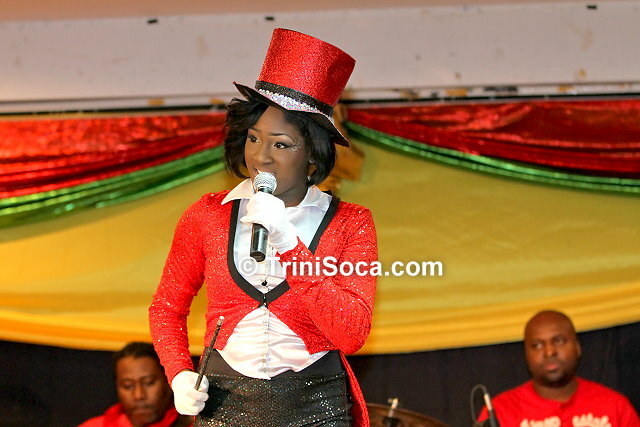 Sandra ‘Trini Barbie’ Sipio appeared in a striking ringmaster costume hued in Trinidad’s national colours singing “Political Magic.” She offered a spirited performance, decrying how governance has been reduced to the level of a magic show, citing Reshmi Ramnarine, Room 201 and Lifesport among some of the scandals which kept popping out on Trinidad and Tobago’s political stage. Raymond ‘Patches’ Patrick then came on, singing “Party Time,” mockingly boasting in his lyrics that he no longer had to sing about the issues being created by the sitting administration in Government, mischievously naming each one, from race relations to pre-action protocol letters as he danced to the mellow beat of “Party Time.” Rudolph ‘Culture Tonic’ Quintero was next, singing Paradise. This groovy tune was a catchy tribute to Trinidad and Tobago and his routine was a classic example of the no frills kaiso in the tradition of the Icons Tent. His was a well appreciated number. 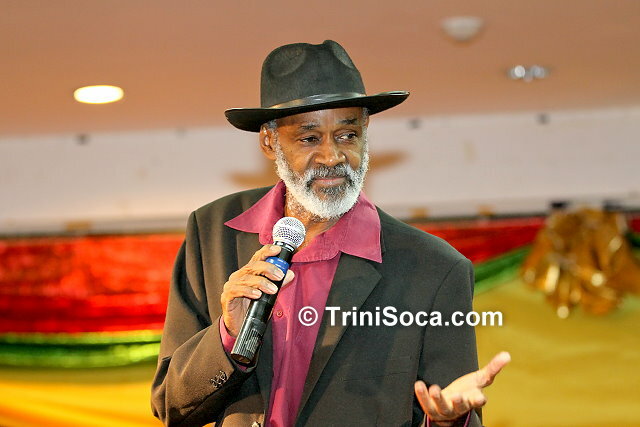 Carlos ‘Rando’ Andrews’ presentation was titled “Market Bell.” He was lustily encored after he performed with his practiced style, showcasing kaiso in the style of the grandmasters. Tamika Darius was next, performing her song, “Finally.” Her contribution was very well received as she referenced the country’s treasury, the Section 34 fiasco, the increasing concern that the nation was becoming a police state, crime and ultimately voting out the problem which she identified to be the government. The audience sang along lustily and she was encored twice. Leydon ‘Organiser’ Charles, came on after and performed “School Children Fighting.” His signature voice rang out as he danced and swung with smooth rhythm to the music. He spoke about the recent spate of violence breaking out in the school system, calling for the children to be disciplined. Marva McKenzie followed a somewhat similar theology when she sang “Pull it Up” in a police type uniform. Her song met with warm approval as she sang of the fashion choices of the youth, encouraging young men to “pull up” their trousers and for young women to cover their bodies and in so doing, cultivate increased dignity amongst themselves. Francis ‘Tallish’ Adams struck a chord when he sang “Say Ah Prayer For Black Stalin.” His was a style which yet again, highlighted the currency of talent on a stage of seasoned entertainers. 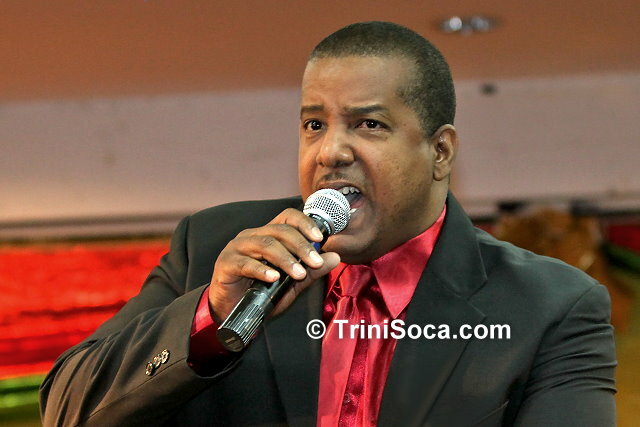 Joseph ‘Lingo’ Vautor-La Placeliere came on with a song entitled “Don’t Tell Me What To Sing,” an amusing example of double entendre as he too, named all the issues he was told to sing about but adamantly chorused that he would not. Lingo met with an enthusiastic encore for this. Roger ‘Bodyguard’ Mohammed sang “Funny Kinda Cabinet” and his words invoked the scandals of the government with references to the much vaunted female designed cabinet which produced incidents such as Room 201, frequent cabinet reshuffles, breast grabbing, Sharma and Child, the Chaguanas election and Section 34 to name a few. He gave an encore before giving way to the next act. Leon ‘Frisco’ Gray performed “Hold on Leroy” which was a beautiful example of old school kaiso untainted by the recent influences of R&B. It was a beautiful performance, invoking nostalgia for the great kaisonians of olden days. Andrew ‘Yellows’ Ferriera offered “Balisier” which was accompanied with a dancing tune. He cut a smart figure in his red suit emblazoned with the PNM logo. His political contribution was appreciated with the call for an encore which he obliged. Co-host, Lewellyn ‘Shortpants’ McIntosh did an excellent job of balancing the bawdy humour of Mr. Prince with his trademark style of witty repartee as he engaged the audience with storytelling humour. 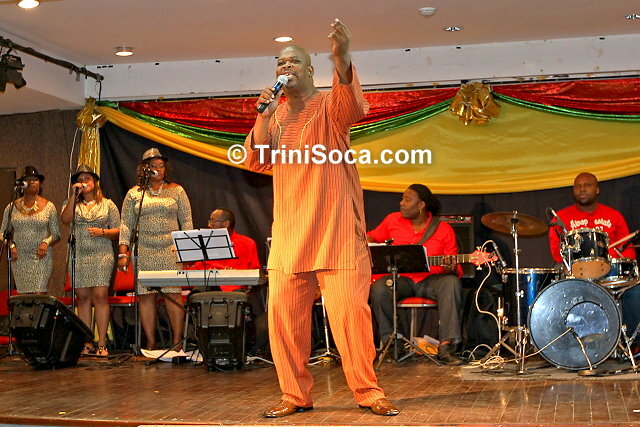 The second half reflected kaiso to be in good hands as Wilson “Super Rod” Legendre took to the stage and performed “It Eh Easy.” He was followed by kaiso veteran of 20 years, “The Tempo” singing “We The People.” Patrons responded with clapping as he leapted off the stage during his effervescent performance and continued his set in their midst, bearing testament to the adage that a good kaiso is indeed a good kaiso! Sekon Alves was up next with his rendition of “Take Me Back.” He was touted as the next generation of kaisonian and he didn’t disappoint with his commanding delivery. He was encored and then followed by a thirty-six years veteran, Easy Man who sang “We Don’t Want That,” a song which reflected the national desire for racial unity and decried the misbehavior seen in poor governance. 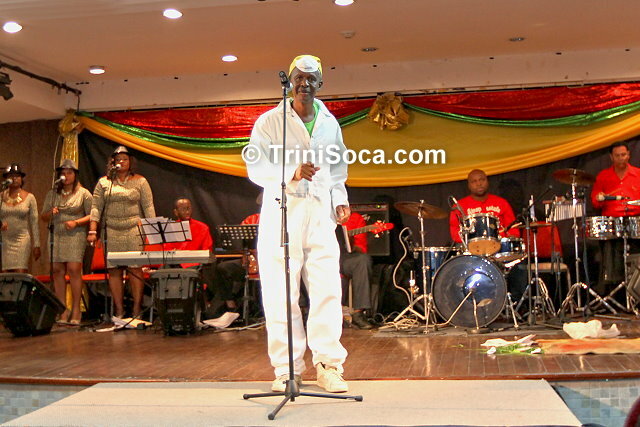 Newton D took to the stage dressed in red, black and white, performing his song entitled “Stop De Killing,” a gentle rendition carrying a powerful message. Jo L was next singing “Nobody Ent See,” a fitting commentary on the lack of persons willing to testify or bear open witness to the crimes being carried out with impunity in the open. 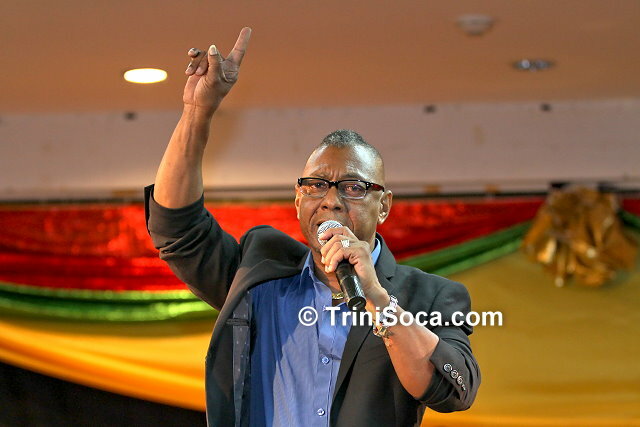 The show was closed with a rousing performance of two political pieces by Weston ‘Cro Cro’ Rawlins, “Glad Yuh Take It” and “Let We Vote Them Out.” He illustrated once more his mastery of the art form in spectacular style. Patrons were left in no doubt that the tent had represented the kaiso traditions of our past and present in grand, iconic style and many could be heard expressing satisfaction as they departed the premises.